As one of the leading specialists for electroplating, we stand out due to our vision, our keen sense for the demands of the market and our integrated solutions. Thus it is natural that, in addition to the development of electroplating processes for the creation of surfaces and the engineering of electroplating plants, we focus on own solutions for controlling, optimizing and monitoring the plant processes. As a professional supplier with many years of know-how in electroplating, we know exactly what is important for the control of your plant. For this reason we offer to you complete solutions from one source - from electroplating processes to plant engineering to compact control solutions including software, control system and switch cabinet. The heart of our plant control system is the SLOTRONIC-PROwin computer-aided process control. Its origin dates back to the 1960s - in those days the plant control continued to be realized through magnetic counters and relays. Over the years, the electronic SLOTRONIC Control - as it was called until the 1970s - was permanently brought to perfection by accounting for the latest technical requirements and by responding to suggestions from customers. 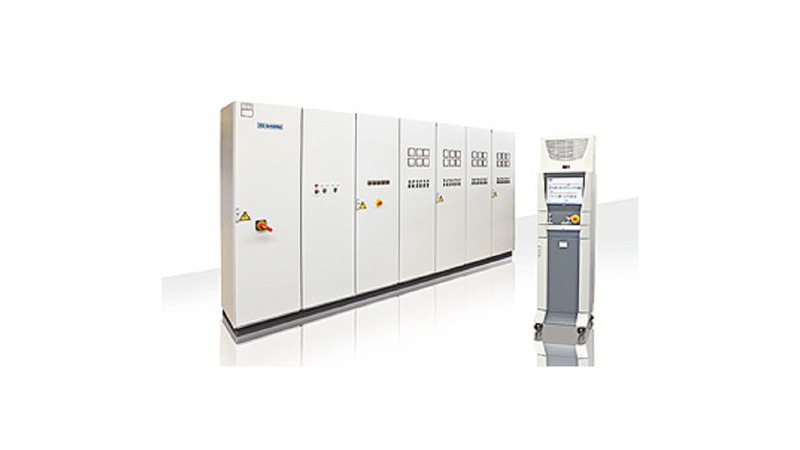 With the PCs entering into the production halls, Schlötter introduced the SLOTRONIC-PRO control software in the 1980s. The first version of today&apos;s SLOTRONIC-PROwin computer-aided process control was launched in 1999 enabling the plant control running under the Windows operating system.